What a fabulous, fabulous trip. Since we had been on the Disney Dream twice, we were very excited to see the Fantasy. 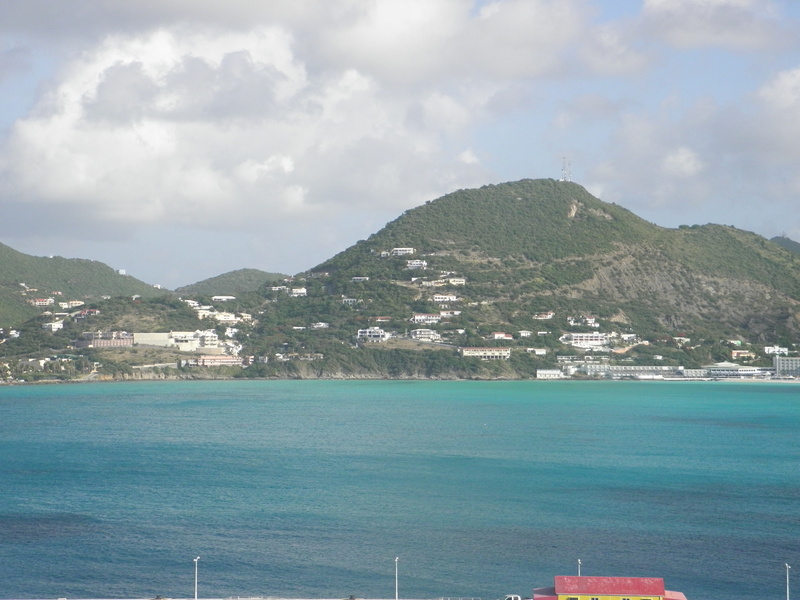 We did the Eastern Caribbean and visted St. Maarten, St. Thomas and Castaway Cay. With 3 days at sea – perfect. Hands down, we like the Fantasy so much more than the Dream. We realize that part of it is because you are on the ship for a week vs 3 – 4 days, but the addition of Satellite Falls is perfect for me. I was usually the only one up there, but at most, there were 7 people. Talk about relaxing. We took the tour with Bernard’s Tours, which was fabulous. I highly recommend this to anyone who wants an overview of the island. 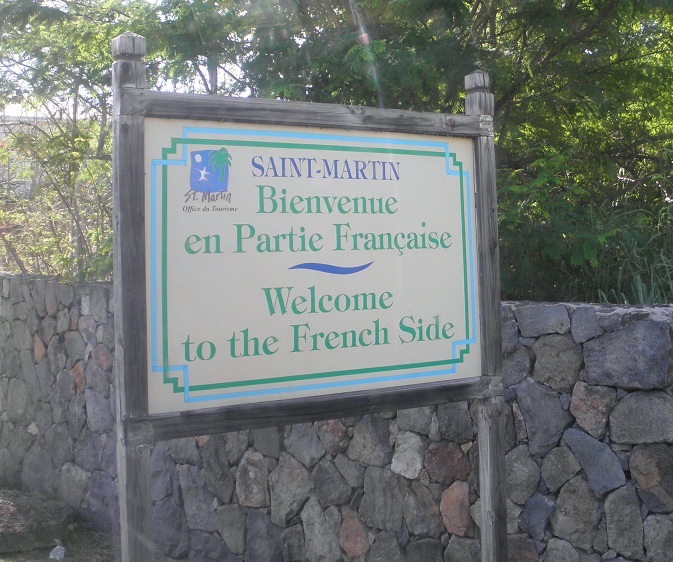 It was a great way to see both the French and Dutch side. The driver was entertaining and brought us to a variety of locations. 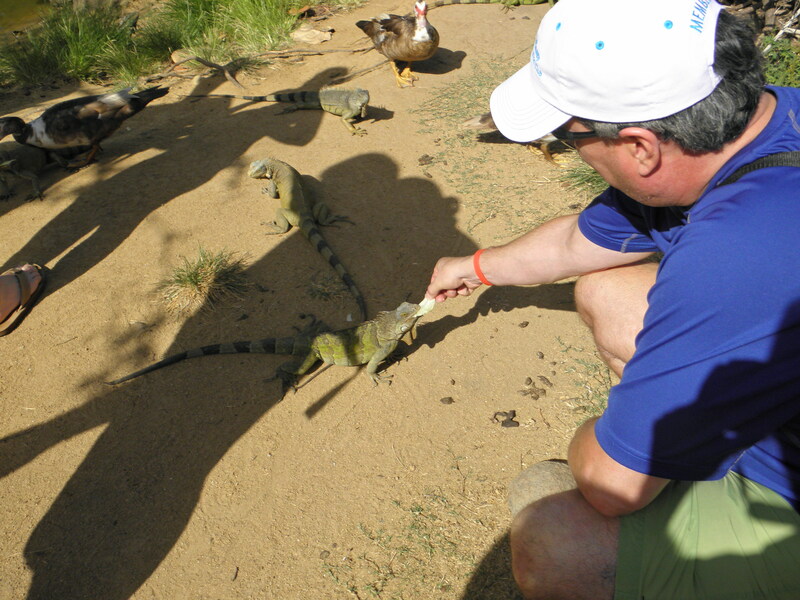 We started out at an Iguana Farm. I think Nick thought we lost our minds when we got off the bus to be surrounded by iguanas. I’m sure he was concerned what the rest of the tour would be like. After the iguana farm we went to a Orient Beach for about 2 hours, which was great. The water was perfect and the kids loved swimming in the ocean and the length of time was perfect. 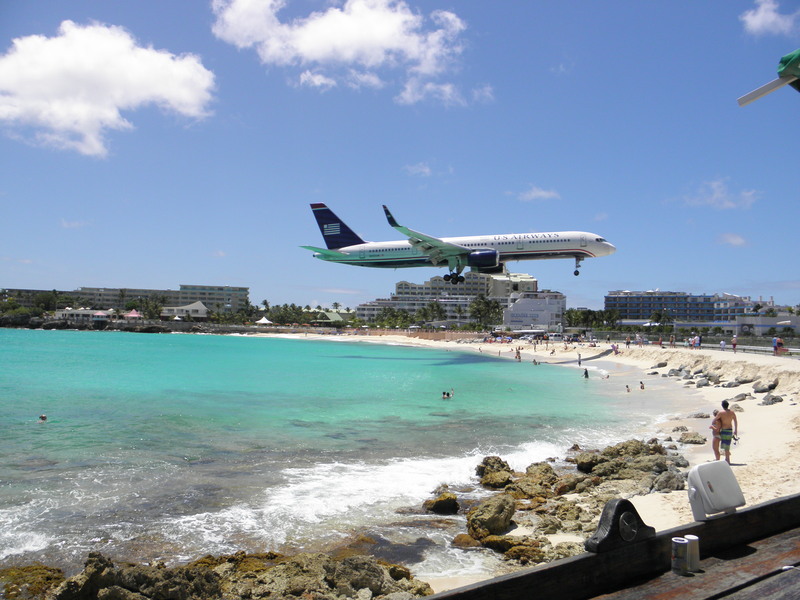 The best part of the tour was Maho Beach. We were fortunate that we got there when the crowds were low. We got a spot at table at the bar to watch the planes come in. Others in our group actually went down to the beach, but one woman quickly discovered this wasn’t a good idea as a plane blew her into the water and her camera was destroyed. Watching the people was more entertaining than the planes. The next day was a stop at St Thomas. We did not do any excursions, but got off briefly to visit the shops at the port. It was nice to be on the ship when it was almost empty. We had a chance to enjoy the pools without the crowds. I would definitely do another Fantasy cruise, but look forward to getting back on the Magic next summer. The smaller ships don’t have the bells and whistles as the newer/bigger ships, but for me, the classic ships are more appealing with less people and the environment seems more laid back.